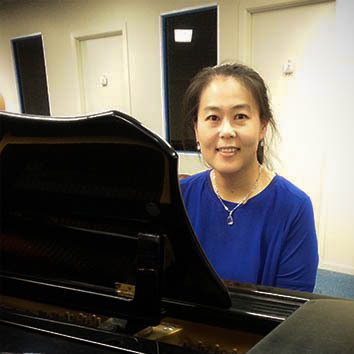 Susan Kim holds a Bachelor of Music in piano from the Queensland Conservatorium of Music and a Master of Music from the University of Queensland. She started her music career as a choir accompanist at St. Peter’s Lutheran School, Indooroopilly. She brings over 20 years experience of being an accompanist and piano tutor at various schools, institutions and churches. She also holds a Graduate Diploma of Education from the University of Queensland, and an intensive Church Music in organ trainings at Golden Gate Baptist Seminary, California, USA. Since Susan is a Korean-Australian, she is able to contribute multicultural aspects and rich heritages from Asian cultures into classes. Her specialty in culture will encourage students to broaden their experiences in music by participating in singing and playing pieces from different cultures and languages. Currently, she is the conductor for Calvary Children’s Choir in Brisbane, teaching at St. Rita’s College, Clayfield and accompanying St. Rita’s College choirs as the pianist. Danny has been engaged in music since the very early stage of his life when he began to play drums in his church band. His deep interest in drums dictated him throughout his teenage years, allowing him to perform in various bands and jazz ensembles. In 2008, Danny was accepted to study the bachelor of music at The University of Queensland. During his four year studies he has learnt from the likes of Michael Askill, Tom O’Kelly, etc. After finishing the degree Danny continues to learn, perform and teach drums. Currently, Danny is receiving tutelage under an Australian born – internationally acclaimed professional drummer, Grant Collins. Danny is also busy with teaching. His students range from primary school students to those who are mature adults. He loves the process of providing the young students with musical training and seeing them gradually develop to their potential. Danny is open to a wide range of music which includes pop, rock, Latin, jazz, funk, classical and many more. 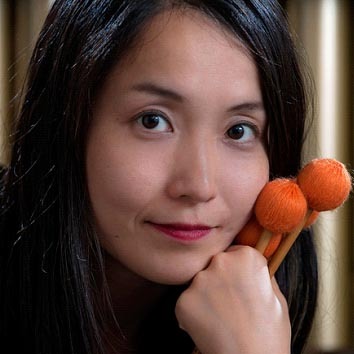 Nozomi Omote is a passionate freelance percussionist based in Brisbane who performs different styles including classical, Latin, new and early music. She specialises in marimba playing and education. She has worked with several professional orchestras such as Queensland Symphony Orchestra, Melbourne Symphony Orchestra, Camerata St John’s Chamber Orchestra, Auckland Philharmonia Orchestra and Orchestra Ensemble Kanazawa. She also performs with contemporary groups such as Clocked out, Speak Percussion and Southern Cross Soloists. She is a member of the Australian percussion group Early Warning System. After doing a Bachelor of Education at Kanazawa University in Japan, she moved to Brisbane in 2003 and completed a Master of Music Studies at the Queensland Conservatorium of Music with Vanessa Tomlinson and Tom O’Kelly. She was awarded to be a marimba soloist with Orchestra Ensemble Kanazawa in 2004. She teaches at several places including the Queensland College of Music, Just Percussion, the Queensland Youth Orchestra and in the Percussion Department at the Queensland Conservatorium. Graduated from the Queensland Conservatorium of Music, Griffith University, Leanne Kenneally won the National Vocal section of the ABC Young Performers Awards. 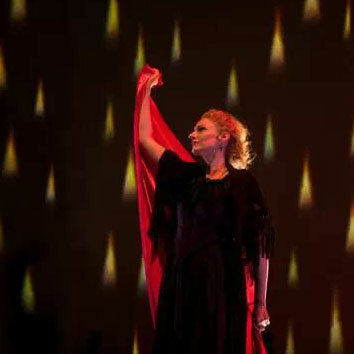 She made her Opera Debut in 1996 with Opera Australia. Ms. Kenneally has since appeared with all the leading opera companies throughout Australia. As a result of receiving Opera Foundation Australia’s prestigious 1999 German Operatic Award, she was a member of the Cologne Opera in Germany from 1999-2001. Ms. Kenneally has performed alongside all the major Australia Symphone Orchestras, as well as Sydney Philharmonia Choirs, Melbourne Chorale, Bangkok Symphony Orchestra, Perth/Sydney/Adelaide and Qld Music Festivals. Leanne can be heard in the role of Venus in Saint Sean’s Helene which has been released by Melba Recordings. Recent performances include Carmina Burana with the Canberra Symphony Orchestra, Handel’s Messiah with the Qld Choir, Brahms’ Ein Deutsches Requiem with the Brisbane Chorale and the role of Nuria in Ainadamar for the Wellington music Festival New Zealand. Ms Kenneally performed in concert with the Melbourne Symphony in 2015. Luisa has been working as a professional singer for the last 15 years. After studying a Bachelor in Education with music as her major she has been working as a music teacher in the public sector for over 10 years. Teaching primary school student’s classical singing techniques, Luisa has conducted choirs of various age groups winning awards at several Brisbane based competitions. She has run singing and choral workshops at schools around Brisbane and Logan. In addition to performing at weddings and festivals in and out of Brisbane, Luisa has taught singing privately to students of various ages. Trained by Soprano Maggie Noonan, Luisa wrote and produced songs on her own CD. She has sung for many events including private functions in Japan and Thailand. Mandy Yen is an accomplished musician who has been working as a music teacher since 1998. She is a graduate of both the University of QLD, where she studied a Master of Music and the QLD Conservatorium of Music, Griffith University where she studied a Bachelor of Music. Specialising in Violin and Viola, Mandy is an experienced teacher with an ability to teach all age groups. 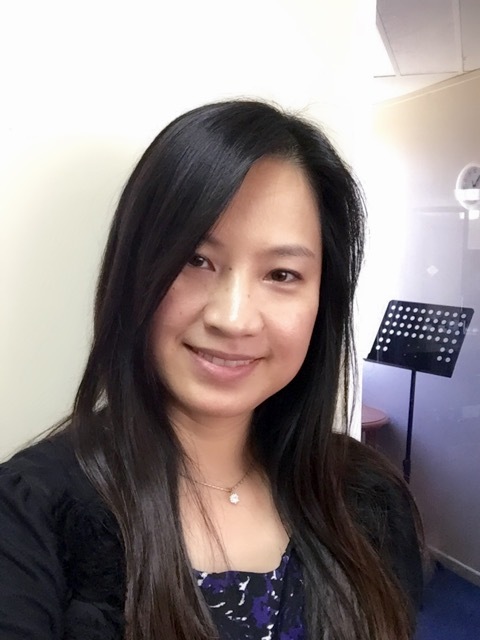 Mandy is an English, Taiwanese and Mandarin speaker and contributes a rich cultural heritage to her lessons. Janet McKay is a prize-winning flautist committed to the performance and development of new music. In addition to her M.Mus (Performance) and B.Mus (Hons) she has studied at the Guildhall School of Music (UK) and the Bang on a Can Institute (USA). 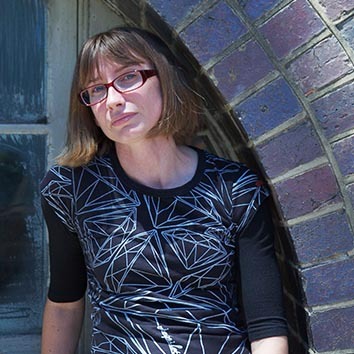 Janet is currently undertaking a PhD (Performance) at the University of Queensland. As a solo artist, Janet has performed recitals in London, New York, Chicago, San Francisco, Los Angeles, Sydney, Canberra, Adelaide and Brisbane. She demonstrates her ongoing commitment to composer and repertoire development by actively commissioning and premiering new works for flute and facilitating composer development workshops. Janet also co-directs an ongoing performance project, Super Critical Mass, staging performances in Brisbane, Sydney, Melbourne, New York, London, Birmingham and Manchester. Janet maintains a vibrant teaching studio both privately and at the Young Conservatorium (Griffith University), and is a Flute Examiner for the Australian Music Examinations Board. 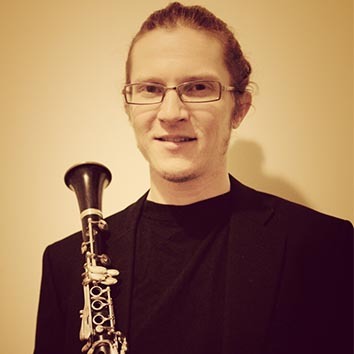 Nicholas Harmsen is an active performing musician who has played with numerous Symphony Orchestras and Groups around Australia. 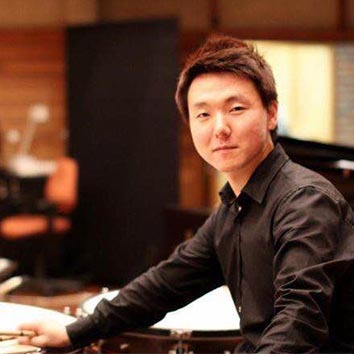 Some of the orchestras he has played with include the Australian Chamber Orchestra, Sydney Symphony orchestra, Melbourne Symphony Orchestra and Tasmanian Symphony Orchestra. He is currently a full time member of the Queensland Symphony Orchestra. Nick studied a Bachelor of Music at the Australian National University’s Canberra School of Music from 1998 to 2002 where he graduated with first class honours. He has performed as a soloist on two occasions with the Tasmanian Symphony Orchestra and in more recent years has performed regularly in chamber music concerts. Some of the works Nick has performed in Brisbane in the last two years include Messiaen’s Quartet for the End of Time and Clarinet quintets by Brahms and Hindemith. Nick grew up in Tasmania where he was taught by Duncan Abercromby and Chris Waller from the Tasmanian Symphony Orchestra. He has extensive experience tutoring and teaching in regional areas around QLD and NSW on various music tours with Sydney Sinfonia, Oz Opera and the QSO. Andrea Smith is no stranger to the business aspects of music, having both worked and educated others in the industry for many years. Andrea’s music industry career started in 1989 when she took over door duties at The Orient Hotel, later becoming co-booker and handling artwork, marketing, and promotion or the venue. A qualified graphic artist, Andrea drew all the flyers and street-paper ads by hand. These have now been recognized as a Cultural Resource and reside as part of the Music History Collection in the State Library of QLD, as does an iconic photo of Andrea, taken while manning the door at The Orient Hotel. Though a tiny venue, the Orient Hotel proved itself a mighty force and laid the foundations for great Brisbane bands like Custard, Screamfeeder and Powderfinger. 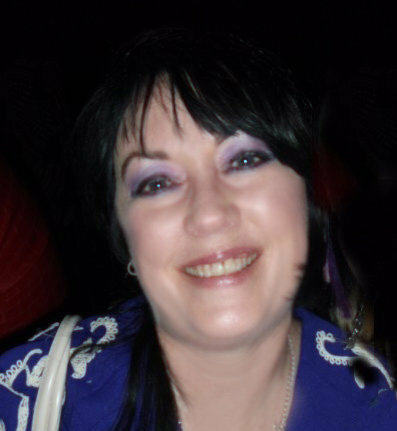 Andrea went on to also manage venues Dooley’s Hotel and the Embassy Hotel and managed many bands, including Purple Avengers and Lemongrass, She has organised regional and interstate tours and managed events and festivals in Queensland and Australia. A recent graduate of the Certificate IV in Community Culture, Andrea contributes to the Arts Industry as President of the Redland City peak arts body RedArts, and project-manages the annual Oriental Rock gigs and QLD Music Design Awards. She is also a founder member of Queensland’s music peak-body QMusic. She co-authored the book Oriental Rock with Richard Kwong. More books are in the pipeline. Andrea has worked for many years as a Music and Arts Business Educator for TAFE Queensland, with graduates from her courses working successfully in the Queensland, National, and Global music industry.